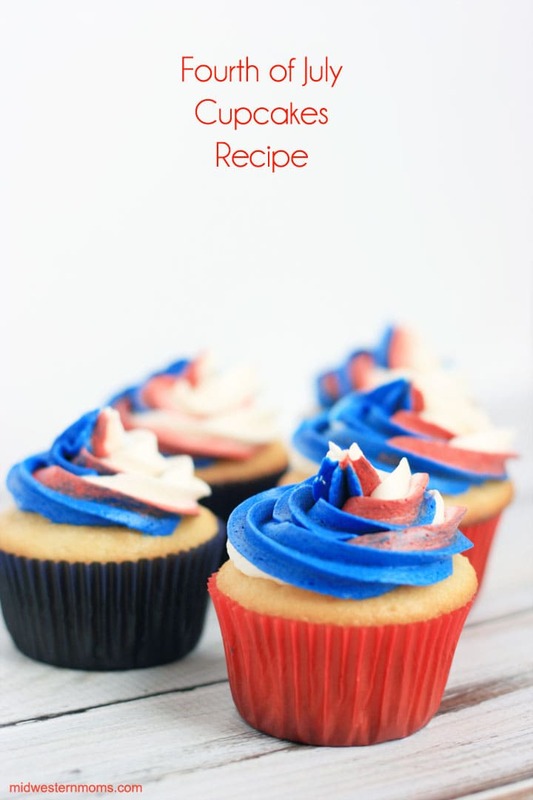 Delicious cupcake idea that is just perfect for the July 4th! 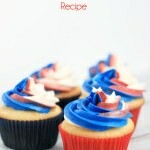 These Fourth of July cupcakes is the perfect way to show your patriotism! It is getting close to the Fourth of July and I wanted to make cupcakes. What says Fourth of July to you? I think of the colors red, white, and blue, fireworks, and cookouts. So I decided these cupcakes needed to be red, white, and blue. Want to learn how I did the icing? Find out how to make a multi-colore cupcake swirl. Another great treat for the Fourth of July celebrations are these 4th of July Rice Krispie Treats. Perfect cupcakes for a 4th of July celebration! Fun tri-colored cupcakes perfect for the 4th of July. Line your cupcake tins with cupcake liners. In a large bowl, mix together all ingredients with your mixer on medium speed for about 2 minutes or until well blended. Place batter evenly into the cupcake liners. I found just a little bit more than 2 tablespoons of batter works well. Beat the butter for a few minutes using your mixer on medium speed. Add 3 cups of powdered sugar and mix on low speed until blended. Add the vanilla extract, salt, and 2 tablespoons of milk. Mix on medium speed for 3 minutes. If you need stiffer frosting, add the remaining sugar. If you need a thinner frosting, add the remaining milk. Split your frosting in thirds. Add red food coloring gel to one and blue to another one. Oh those are adorable! And that icing trick is great– I totally would’ve thrown them all in the same bag and had a mush of icing– haha. pinning these!! These are so cute! I’m going to have to give these a try. Oooh, Very simple and looks delicious! 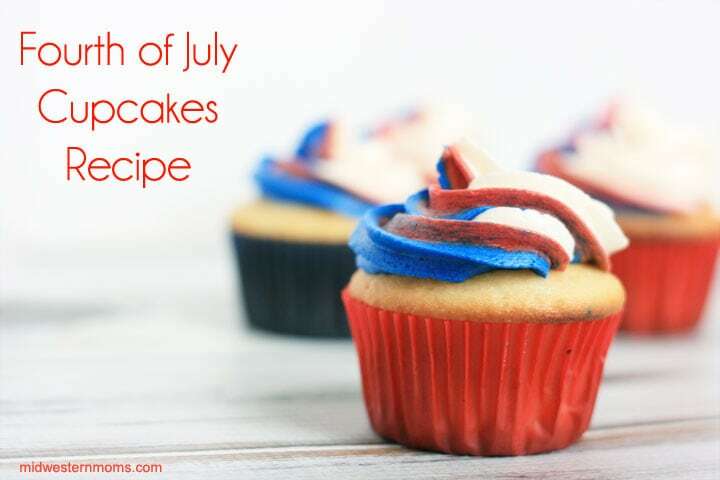 I want to try these 4th a July cupcakes but I am afraid I will mess up. Baking is not me. It looks real easy how you have it. These look so delicious and easy to make. I love the printable recipe…so I printed it, and we will be trying these real soon. The red, white, and blue icing and the liners really make these patriotic. What fun cupcakes! Pinned these! Thanks for sharing the recipe. They look amazing-I’m not sure I would have your patience though! Thanks for the recipe and tips. I have just started a brand new link up and it went live today! If you have a minute to spare I’d be thrilled if you could share your post at the Sundays Down Under link up. Best wishes for a fabulous week. LOVE that! 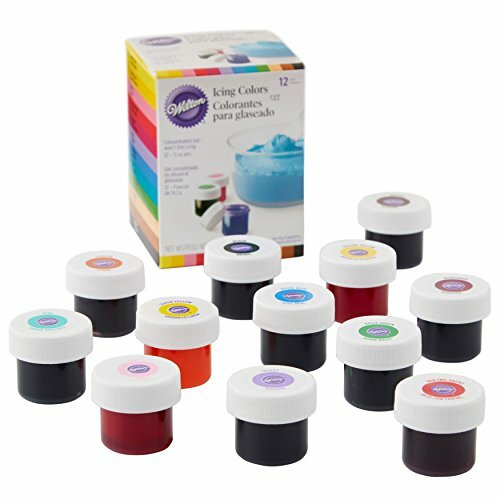 I have not tried a colour swirl yet – I might have to try one for Canada day using white and red! So pretty! Thanks so much for sharing with us at #HomeMattersParty. Hope you join us again next week! The door opens Friday EST. YUMMY! Thank you for sharing at the #summerfamilyfun link-up! I hope you’ll join us again next week! Lovely for the 4th of July! Party time for sure! Visiting from Home Matters LInky Party. Pinning, and thanks for sharing. 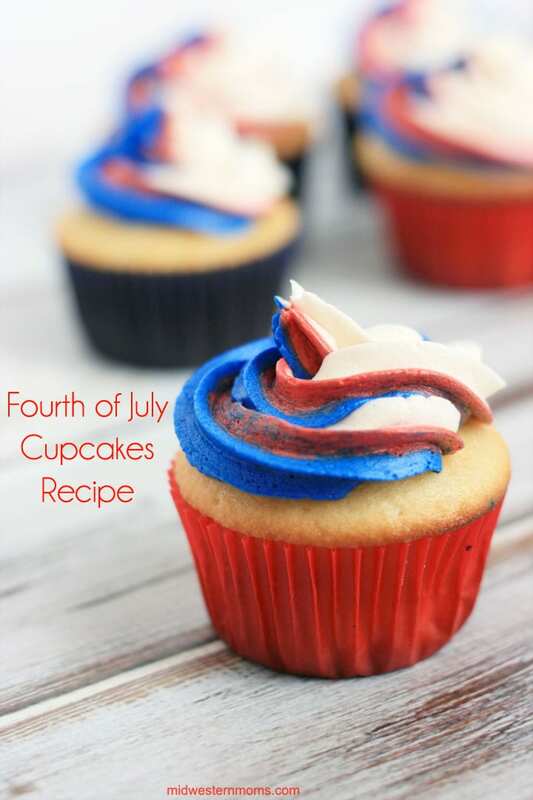 Just wanted to let you know I’ve featured your cupcakes on my July 4th round up…. Love these! So pretty and festive! Thanks so much for taking the time to link up with us at the #HomeMattersParty – we hope to see you again on Friday!